Even if it is more a recycling than a retooling, the Razer Mamba Wireless is still a slick as hell gaming mouse. 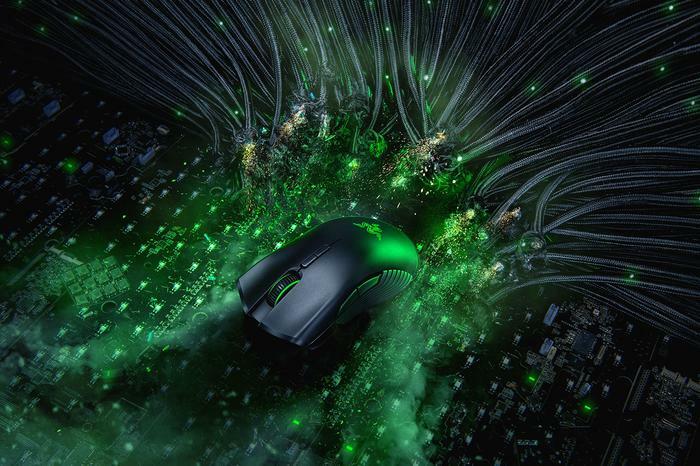 When it comes to mice, Razer have kinda done it all. Need a mouse with an almost-egregious amount of buttons? The Naga has you covered. Looking for that classic, tactile DeathAdder feel-factor? Razer are still selling those. Want it wireless? The Mamba is your go-to. That hasn’t changed. Nor, really, has the new Razer Mamba. The company’s latest refresh boosts the battery life on the mouse, but that’s about it. More-or-less, the pitch here is largely the same as it was back when the company introduced the Mamba's 16K DPI sensor back in 2016. Mind you, what’s on offer here is really good. And this time, the Mamba uses an optical sensor rather than a laser one. Again, for the most part, the new Mamba Wireless is a fairly typical Razer mouse. It comes in matte black, boasts Chroma RGB lighting and rubberized side-grips. It's got a handful of programmable buttons and matching set of a clicky mecha switches. From a specs perspective, the 2018 Mamba Wireless ticks pretty much all the boxes you'd expect it to. The 16K DPI, 50g acceleration and 1000Hz ultrapolling brings it into line with the best of both the wired and wireless mouse categories. There’s also a new feature called Adaptive Frequency Technology - which Razer say ensures the lowest-latency achievable - though the exact impact of this is difficult to gauge. The one real downside here is the lack of built-in Hyperflux support, which would have been a nice value-add. As you’d expect, the impressive array of numbers above translate into reality in convincing form. The Mamba is super easy to set-up and a satisfying to use. In-action and taken on its own merits, it leaves little to be desired. Unfortunately, testing out this mouse right after our bout with Logitech Pro G Wireless did leave it seeming a little lacking by comparison. Yes, the RGB integration here is best-in-class and the Mamba itself hits most - if not all - of the same technical marks as the Logitech G Pro Gaming Mouse does. Still, I couldn’t shake the feeling that the Mamba came second place in terms of sensitivity and responsiveness. Even if the switches and rubberized grips give it a more tactile feel, the heavier weight does inevitably take its toll. It also lags behind Logitech’s offering on battery life. Sort of. It depends on how you look at these things. 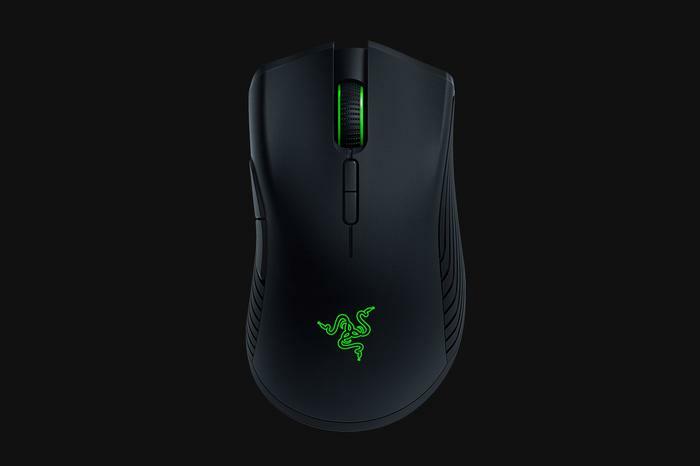 The new RazerMamba only offers 50 hours of usage to Logitech’s 60. That being said, Logitech’s mouse does come with the caveat that reaching such longevity requires disabling the RGB lighting. With the lighting enabled, the Logitech Pro G only hits 45 hours - which puts the Mamba ahead. Like I said, it depends how you look at it - and how much you really care about RGB lighting. If you’ve got $169 to burn and need to get your hands on a solid wireless gaming mouse, the new Razer Mamba Wireless is more than a contender. At this price-point, it’s probably the best-buy out there. If you’re willing to shop around and spend a little more, you might be able to get a little more. But if you’re after the obvious choice for a go-to wireless gaming mouse, the Razer Mamba is probably it.